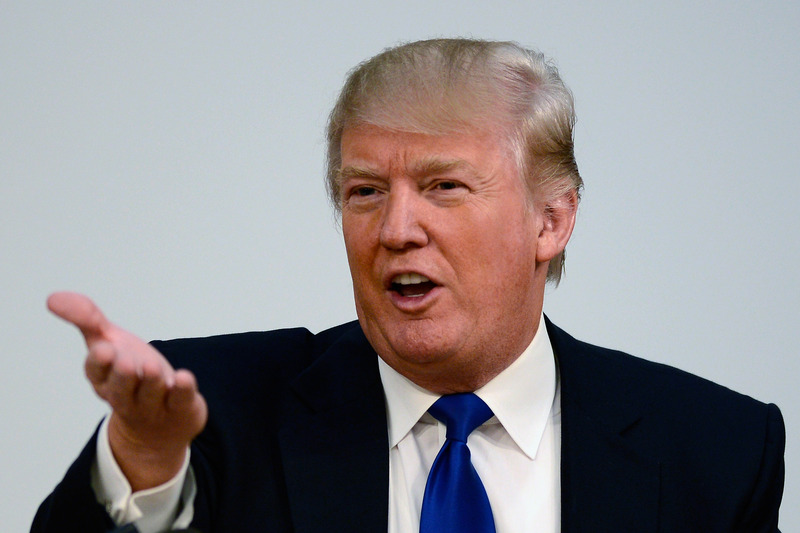 On Tuesday, after decades of teasing the idea, Donald Trump finally announced he's running for president. Anyone who's familiar with the tycoon probably knows that he's known for his aggressive business style and even more aggressive provocations, which he displayed in full force during his announcement speech. But Trump's favorite platform for spouting his mini diatribes is Twitter, where he targets everyone from President Obama to Kristen Stewart. But perusing his Twitter for even a few seconds, one will notice that the Donald likes to use the same words over and over when name-calling. Maybe it's time to broaden your vocabulary, Donald. Trump even dropped a few of these words during his 45-minute psychobabble-like speech. After revealing his exact net worth ($8,737,540,00, in case you were wondering) and listing some of his most valuable properties for some reason, Trump swears to the audience he's not bragging. I’m not doing that to brag, because you know what? I don’t have to brag. I don’t have to, believe it or not. I’m doing that to say that that’s the kind of thinking our country needs. We need that thinking. We have the opposite thinking. We have losers. We have losers. We have people that don’t have it. We have people that are morally corrupt. We have people that are selling this country down the drain. If you spend even a few seconds on Trump's Twitter page, you'll see just how much he loves the word "loser" and how often he levels it at others. He also shares the same affinity for a few other words, which he seems to also use repeatedly to describe his adversaries. Here are the Donald's favorite words to call people. The Donald kindly makes sure to include haters and losers in his holiday and memorial tweets. It might be time to invest in a thesaurus, Donald. They're not very expensive, and the return — knowing more than a handful of words — is priceless.